Answers a question the author frequently encounters, “How did you take the determination to leave your family and your country to start a business in a foreign land and became successful?” This book is an inspiration and guide for everyone, especially for women of various ethnic backgrounds in different industry segments, who are entrepreneurs or plan to have a business one day. The author shares her story of more than thirty years as a Latina entrepreneur. 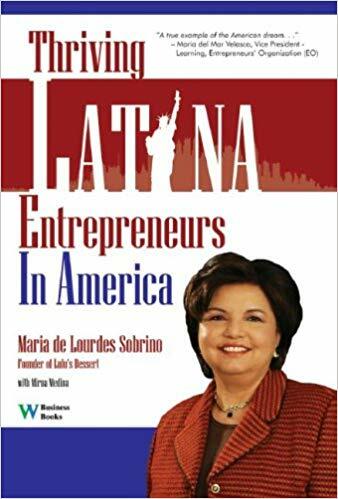 She tells the stories of other successful Latinas who share their experiences in finding a particular niche industry, establishing their businesses, and contributing to the economy and development of the United States. This book encourages the reader to succeed in business and make a difference.